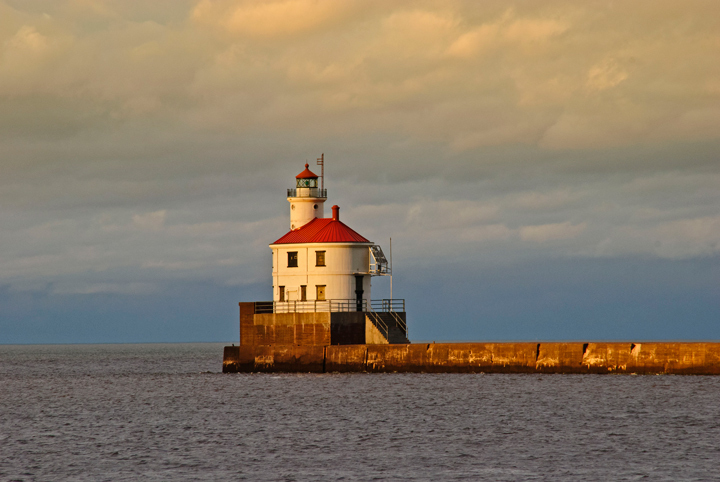 This past week I had an opportunity to spend a few days in Duluth. As luck would have it both days gave the promise of dramatic sunrises so I walked down to Canal Park to photograph them. One of the things I miss living on a farm in the middle of a forest is seeing the sunrises and sunsets. It’s probably why I like to photograph them when I’m visiting an area where I can actually see and photograph them. The Photographer’s Ephemeris (TPE) gave me a good idea of where I needed to be to catch the sunrise photos I was looking for. On one of the days there was fog out in the lake so the sunrise was delayed as it rose through the fog. On the second day the horizon was clear but there was extensive cloud cover. 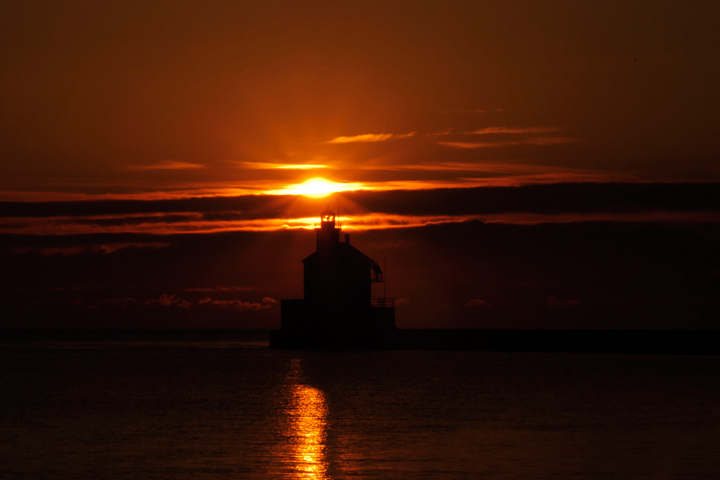 I was able to collect quite a wide range of photos of the North Breakwater Light. 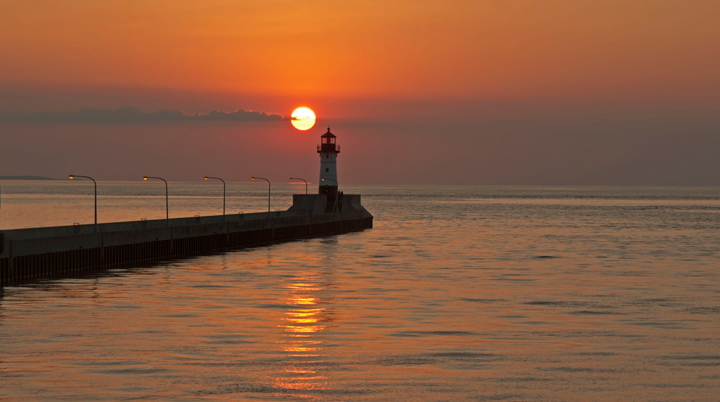 More sunrise photos from Canal Park can be found on my website. 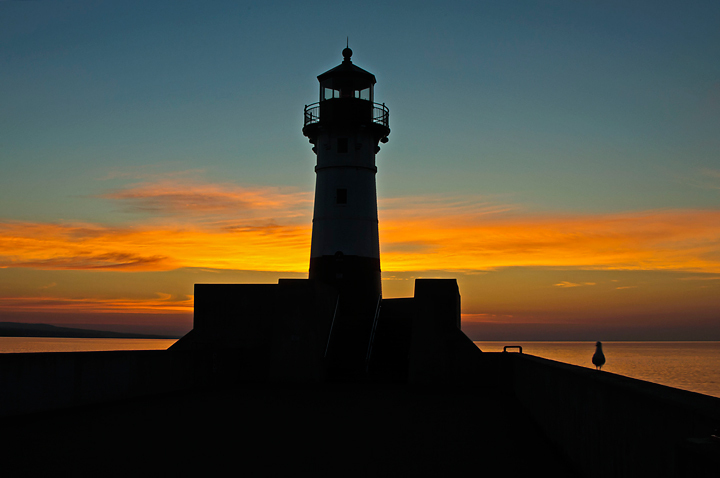 Earlier this week we drove up to our condo in Duluth, Minnesota. It was going to be around 100 degrees at home and we decided that was a bit too much. 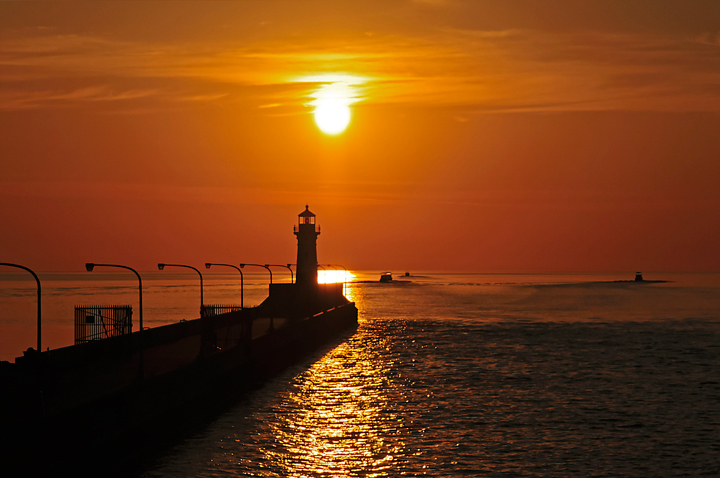 We hoped for some cooler weather around Lake Superior. About 15 miles from Duluth it was already over 90 degrees at 11am. By the time we reached Duluth the temperature had dropped to 70 degrees. The second day was in the 80’s with high humidity and was miserable. The next day started out like it was going to be another hot one but the wind shifted and a north east wind turned on the Lake Superior air conditioning and the temperatures ended up in the 60’s, 40 degrees cooler than at home. The trip just happened to coincide with a full moon. 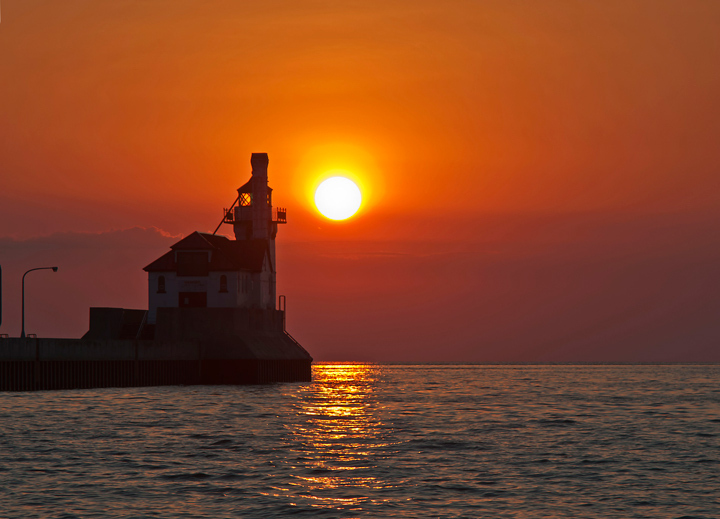 I checked The Photographer’s Ephemeris (TPE) and it looked like there was a good chance of catching a photograph of the full moon rising over the North Breakwater Light as well as some sunrise shots around Canal Park. 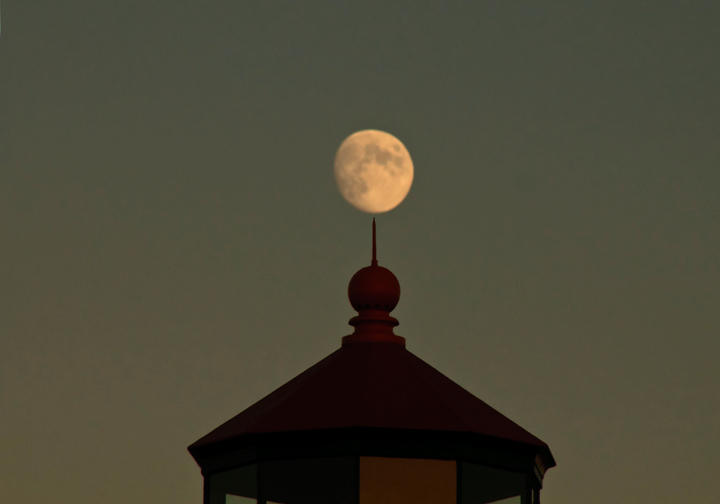 Several years ago I captured a great shot of the moon rising over the South Breakwater Light and wanted to get a matching photo. Unfortunately TPE can only do so much. 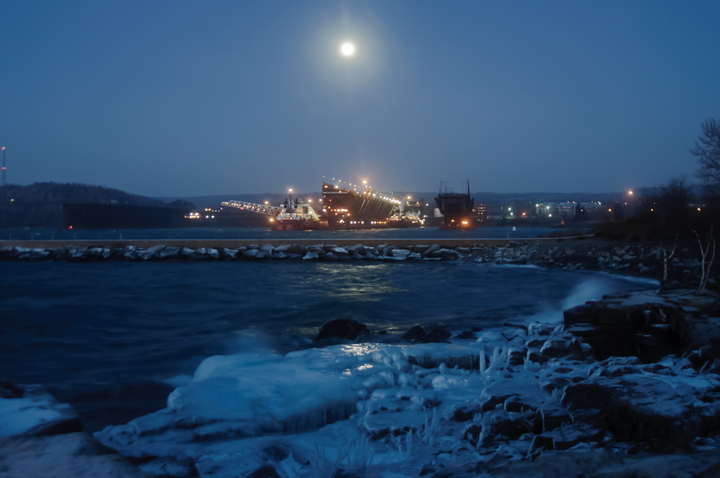 It turned out there was a haze over the Lake Superior and by the time the moon had risen above the haze it was not possible to get a shot of the moon over the North Breakwater Light. 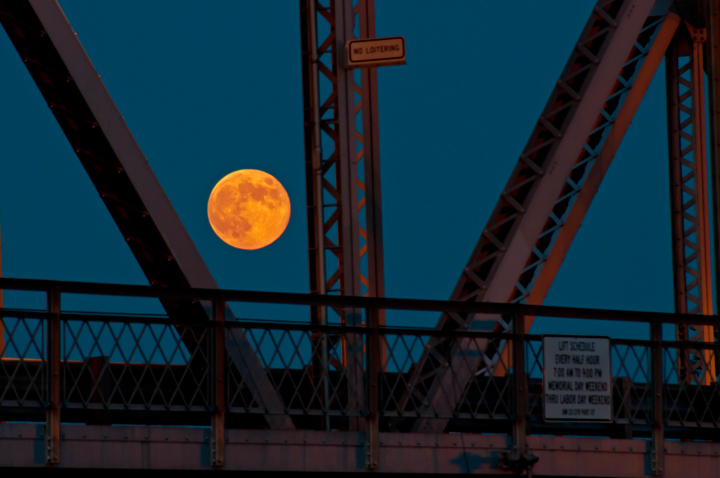 I did hang around for a while and was able to get a shot of the moon through the Aerial Lift Bridge. 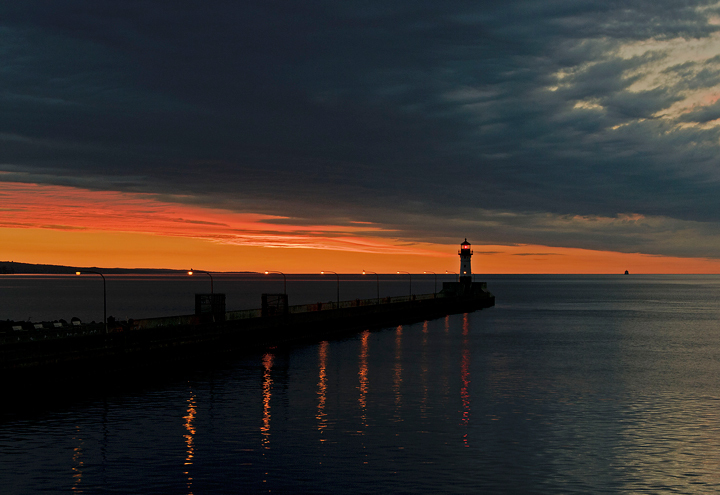 The next morning I didn’t quite get up in time to make it down to Canal Park for the scheduled sunrise. 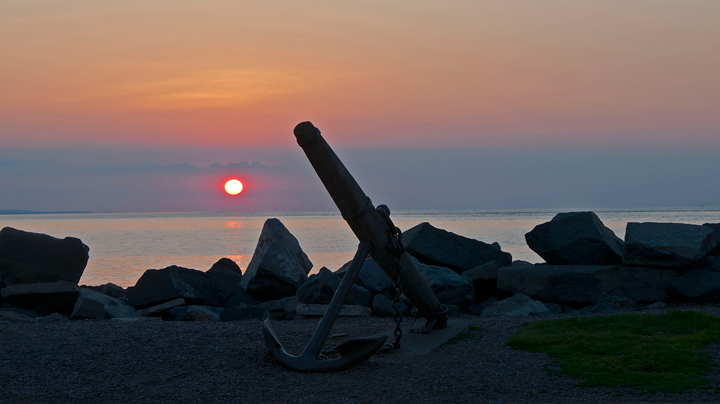 Fortunately there was a haze over Lake Superior. As a result the sun didn’t rise above the haze until about 20 minutes after normal sunrise so I was still able capture some delayed sunrise shots. 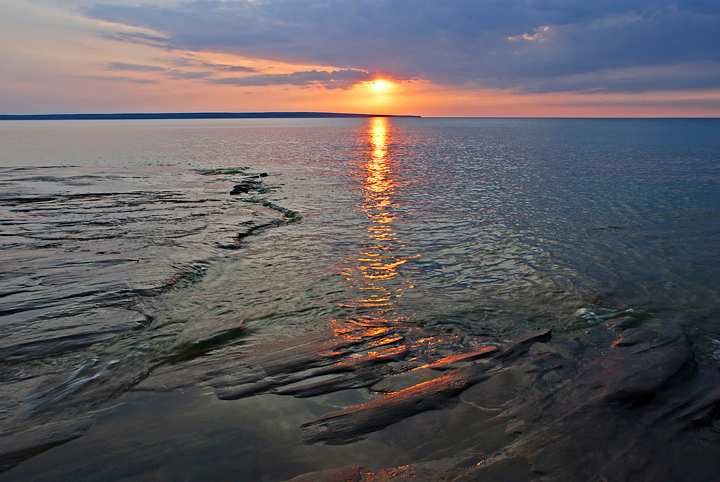 We normally make a trip to Pictured Rocks National Lakeshore in early June. This year we were busy with other things and this past weekend was the first chance we had to make the trip. It’s a long drive so we ended up taking a four day weekend for the trip. The first day is normally a long driving day. 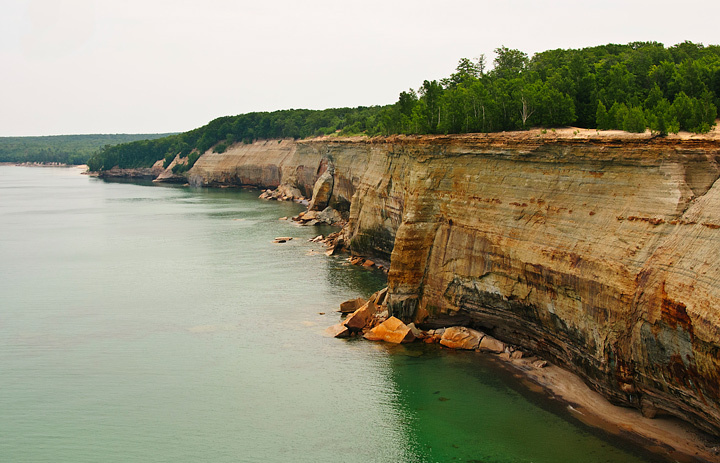 It takes about seven hours to reach Pictured Rocks and usually a little longer if we make any stops. The weather report was for a cloudy day so we decided to try and stop at some waterfalls in order to break up the trip. The first stop was at one of my favorite waterfalls, Bond Falls. It had been cloudy the entire trip and I like to shoot waterfalls on cloudy or overcast days because it provides a more even light. As luck would have it as soon as we reached Bond Falls the sun came out. I seemed to be cursed on my visits to Bond Falls. The trip to the falls is generally made with overcast skies and as soon as I arrive the Sun comes out. 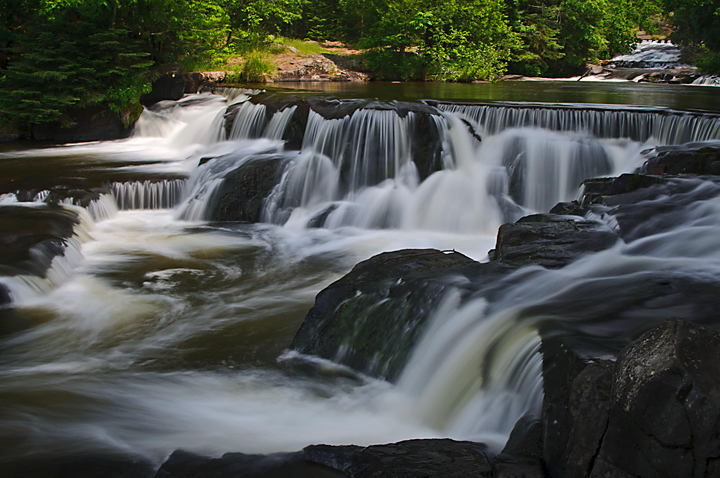 Bond falls is below a dam so there is always a good flow of water over the falls. 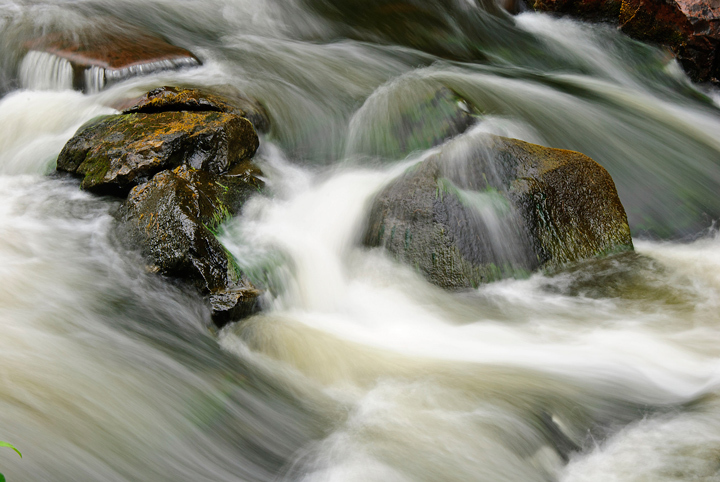 This shot was made at a small waterfall above the main falls. Our second stop of the day was at Canyon Falls which is just a short driving distance from Bond Falls and was on our way to Munising. I thought the U.P. might have received some of the heavy rains that came through Northern Wisconsin the past few weeks and hoped that the water level was high but it didn’t happen. The water levels were low for this time of year and the falls did not offer particularly good photographic opportunities. 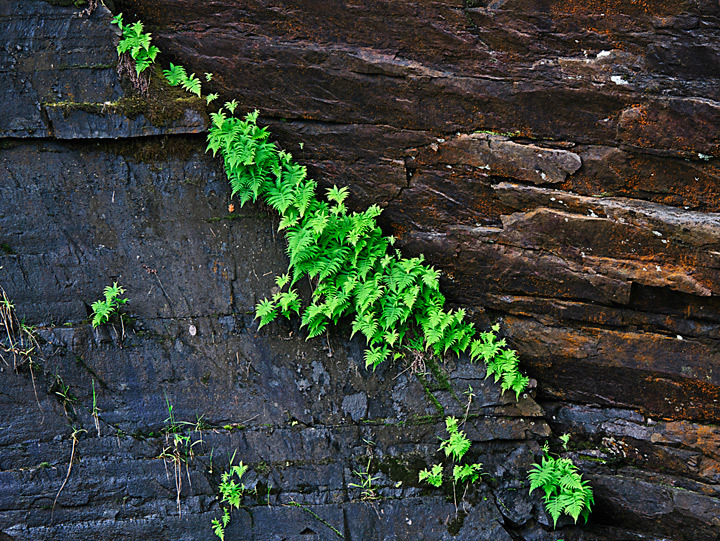 This is a shot of some ferns growing on the wall above the falls. 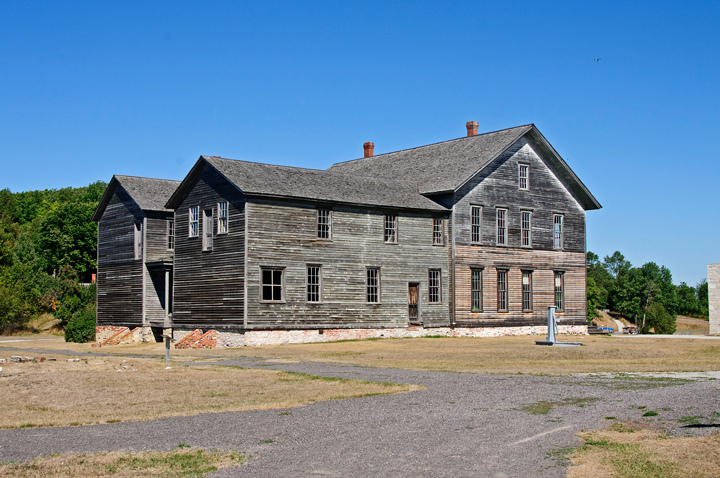 Because of our stops we didn’t reach Munising late in the day. We grabbed a bite to eat before heading out to Miners Beach at Pictured Rocks. 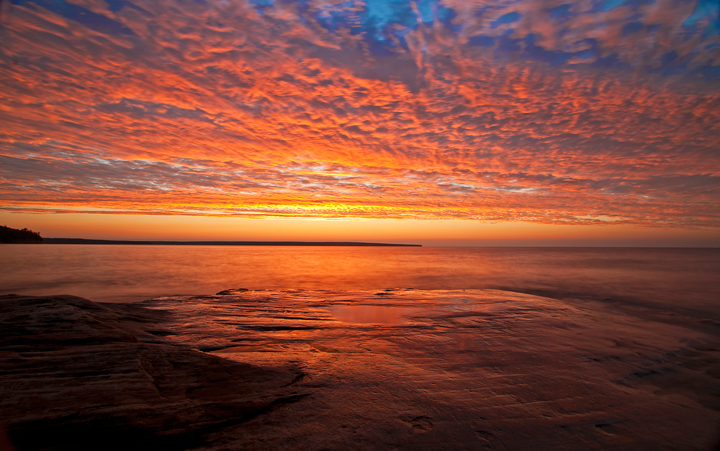 I normally photograph sunsets from Miners Beach. 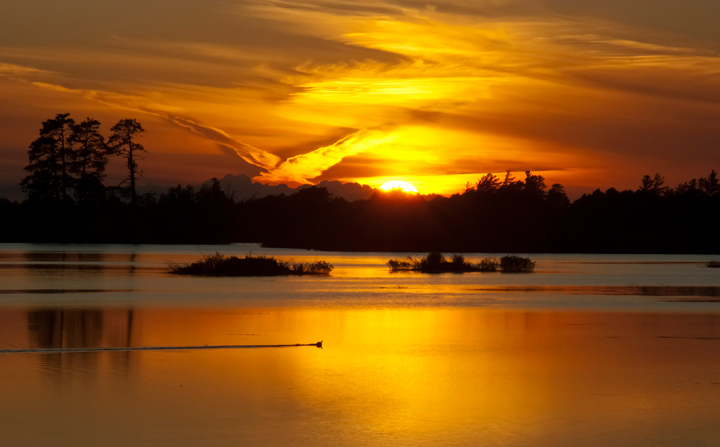 It can offer some spectacular sunsets and there is a small waterfall that it a popular photography location. This was one of the few visits when there was no one else on the beach. It is still early season in the U.P. so there were not a lot of other folks around at any of the locations we visited. My wife noticed that there were quite a few flies attracted to her boots but I didn’t notice them. It turned out this was significant but we didn’t realize how significant until the next Day. The shot on the left shows the sunset. 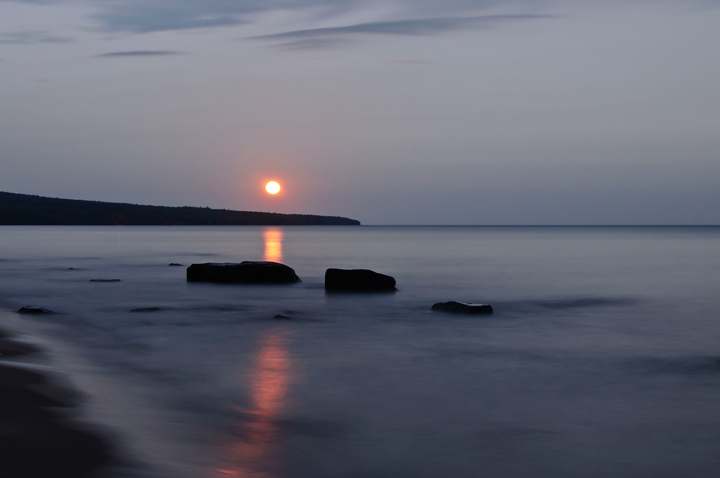 I’ve seen a lot better at Miners Beach but it was still nice. The lake was very calm so there wasn’t much wave action. 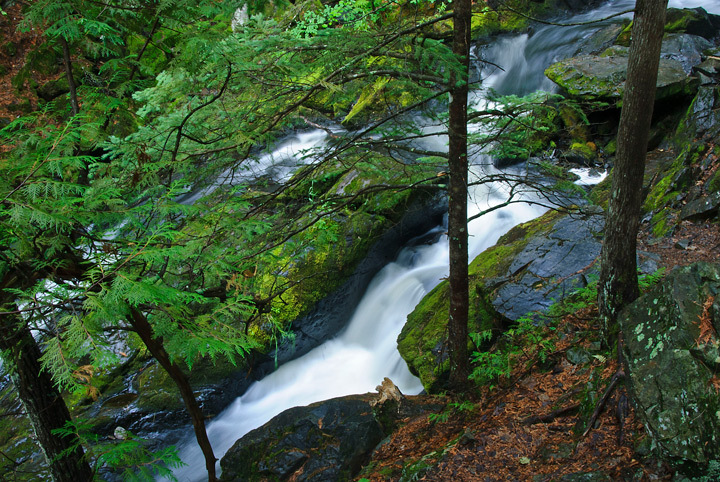 The shot on the right shows Elliot Creek Falls as it emerges from forest. Day two was a scheduled hiking day. We decided to drive back to Miners Beach and hike from Miners Beach over to Mosquito Beach. It’s about a six mile round trip and it was our first time on this portion of the Lakeshore Trail. The first few hundred yards are very steep and hard on someone with bad hamstrings. There were a wide variety of flowers out but not a lot of each type of flower. It looked like in a week the woods will once again be carpeted with wild flowers. There are some good places to view the lakeshore from along this portion of the Trail. On the second observation point we got an inkling of what was to come. 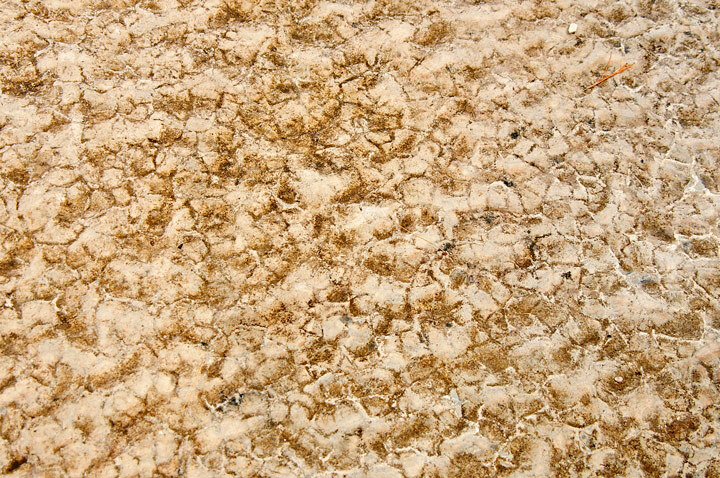 We walked out into the sand and were immediately covered with Stable Flies. We quickly headed back onto the main trail but the flies remained with us. It made for a miserable day because every stop we picked up more flies. For the most part they just hang on to your clothes but they will bite exposed skin. The last thing you want to do on a warm day is wear long pants and shirts but it is the best course of action. Fortunately they don’t cause large welts when they do bite. Insect repellents have no effect on them. We later found out that they cluster along the beach on hot days, it was close to 80 degrees, when the wind is out of the south. We ended up hiking the entire trip without any breaks. Three young people had started out hiking ahead of us and we met them as they were running back to the trailhead. This was our first and hopefully last experience with Stable Flies. They were out early this year. One of the rangers said they were first seen in May this year. 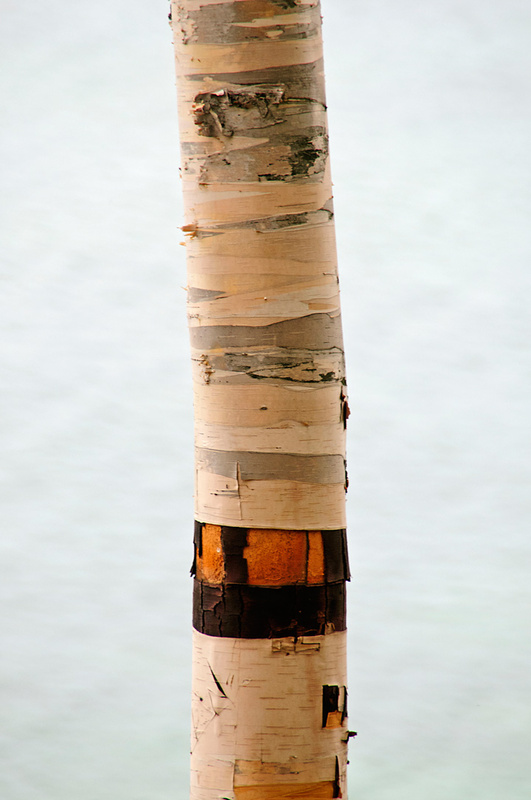 The shot on the right shows some sand patterns at Mosquito Beach and the left is of a Birch Tree with the lake in the background. The presence of Sable Flies considerably reduced out options for the day’s activities. We ended up going back to the motel and watching a Euro 2012 football game. Later in the day it clouded up so we had an early dinner and then went out to photograph some waterfalls. 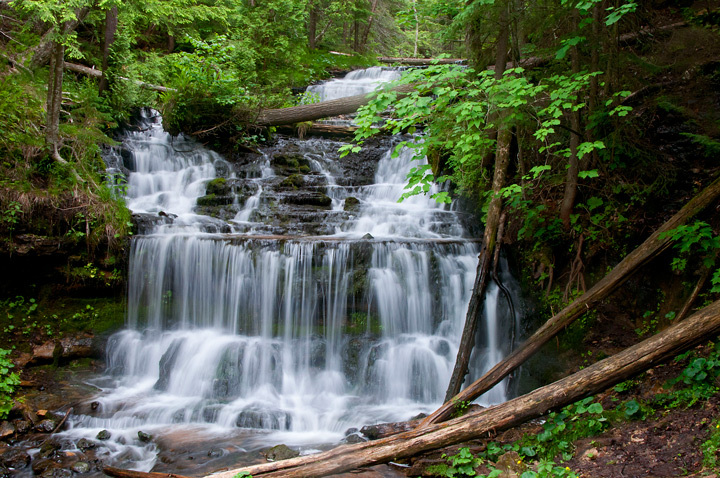 Fortunately there are quite a few waterfalls in Munising. I think there are six of them and we stopped at four of them during the evening before driving out to sand point and hiking a short nature trail. This is a shot of Wagner Falls just outside town. Day three was supposed to be another hiking day. 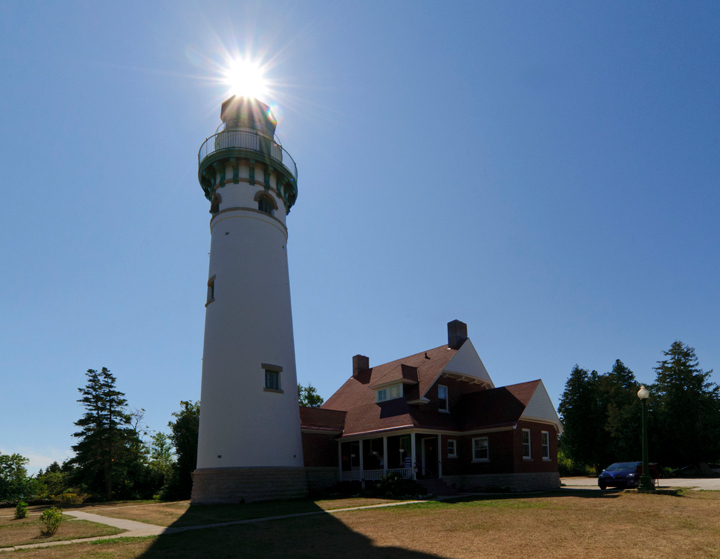 We had planned to drive to the Hurricane River campground then hike along the beach to Au Sable Lighthouse. 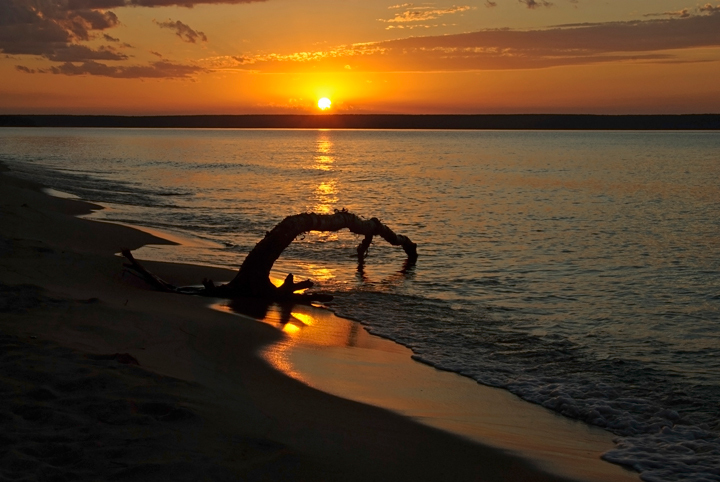 We love hiking along the beach because it isn’t all sand and offers a variety of scenery. It is also nice because the wind is usually blowing and there are no mosquitoes. On the drive to Hurricane River we stopped at Twelve Mile Beach to check on fly conditions. As we exited the car we were immediately engulfed in Stable Flies. Well the best laid plans just went out the window and the flies came in. It took us most of the day to get all of the flies out of the car. 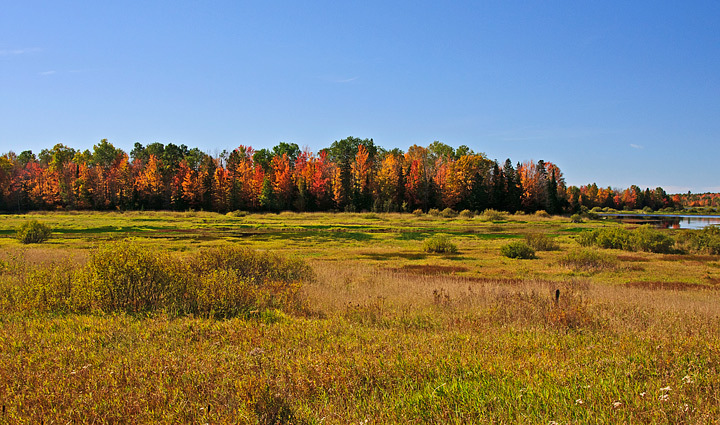 Our original plans were to hike for most of the day then drive over to Seney National Wildlife Refuge late in the day. 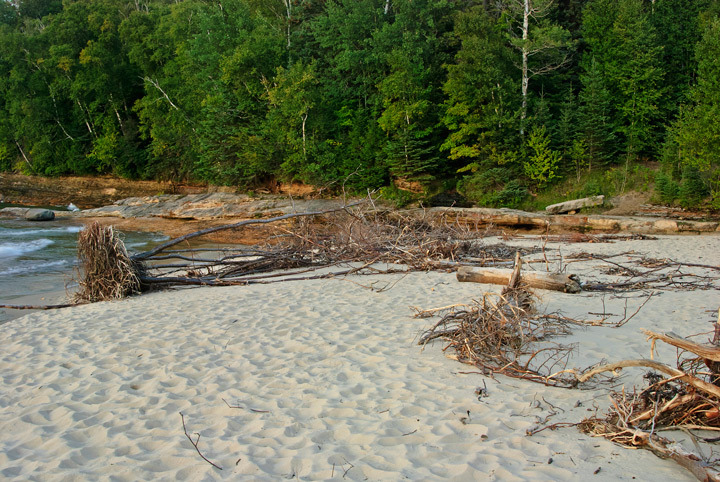 With Stable Flies at all of the beaches we decided to drive directly over to Seney and forget about hiking along the lakeshore. 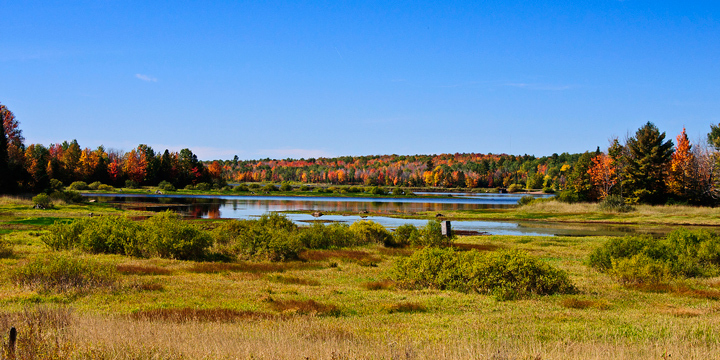 It was around noon when we arrived at Seney so we didn’t expect to see a lot of wildlife activity as we drove around the refuge. We drove the Fishing Loop and part of the Marshland Wildlife Drive. On the Fishing Loop we could see how close the recent wildfires had gotten to the main public roads in the refuge. 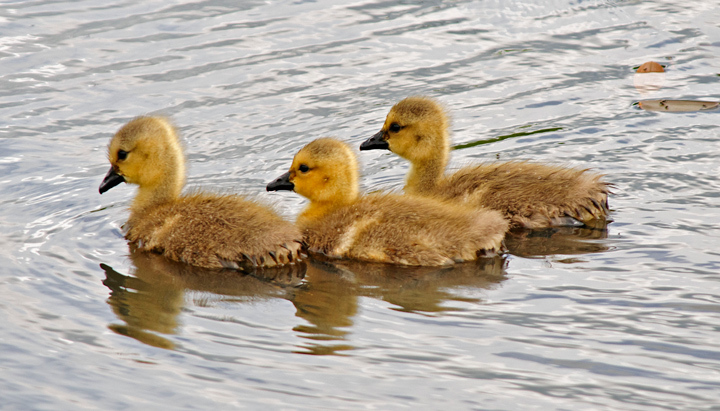 There were a few birds out and we did see some Canada Geese Goslings that weren’t very old. Since there wasn’t a lot going on in the refuge we decided we had enough time to drive over to Tahquamenon Falls before returning for some sunset photography. We had visited the Upper Falls on a trip the previous fall so we decided to try the Lower Falls this trip. I had seen better water levels and more interesting water action on previous trips so I concentrated on photographing people enjoying the river. 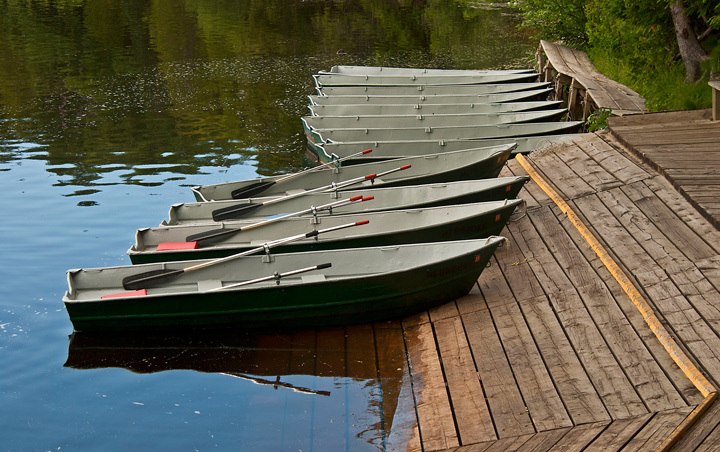 This is a shot of the boat rental area. the bottom. 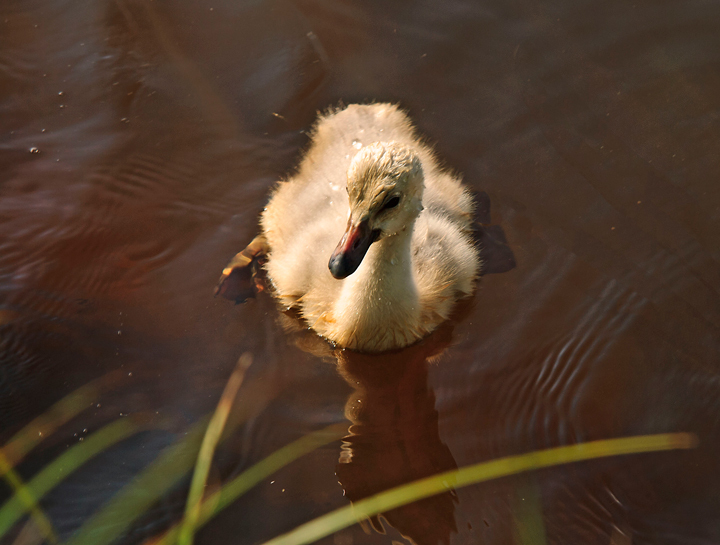 The adult would then bring up food from the bottom for the cygnets. The cygnets would rush over to feed on the material the adult brought up. We observed two different pair of adults. One pair had two cygnets and the other pair had four. In both cases we were able to stand on the shore and eventually they came right up to the shoreline to feed. The adults didn’t seem to be too concerned with our presence. This was definitely the highlight of our visit. 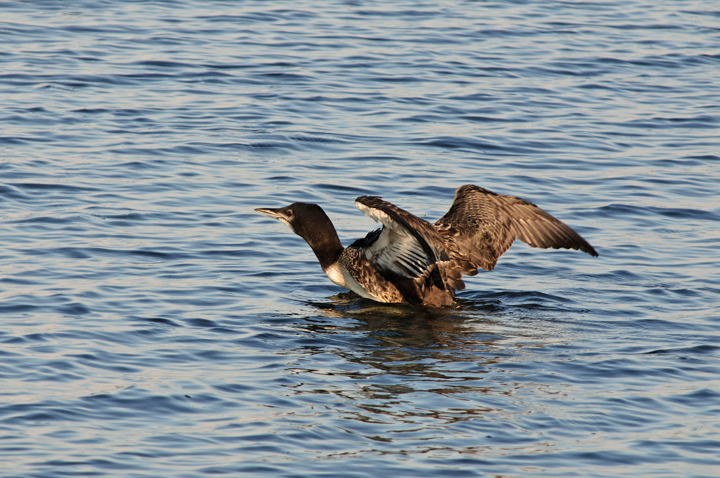 In addition to the swans we saw many other birds including Grebes, Kingfishers, Kingbirds, Loons and Canada Geese. In one location there were a bunch of Canada Geese with their teenage offspring that didn’t want to get out of the road. Every time we drove past they would run down the center of the road in front of the car until finally moving off toward the lake. We also saw White-tailed Deer with their fawns walking along the road. Muskrats and Beaver were abundant late in the day. They were, well, working like beavers. In a couple of cases we could see what appeared to be small islands moving through the water. The beaver were moving so much material we could hardly see the beavers. 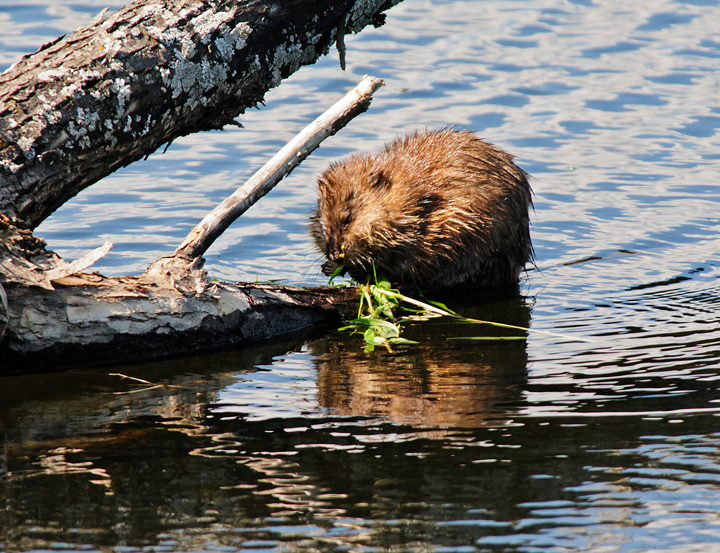 We found this Muskrat eating on a tree that had fallen into the water. We made one last drive, our fourth trip of the day, around the Marshland Wildlife Drive in order to photograph the sunset. I have The Photographer’s Ephemeris loaded onto my Android phone so as we made earlier trips through the refuge I used it to pick out some good locations for sunset and sunrise shots. The sunset was good but not spectacular. Unfortunately there were clouds along the horizon so the sunset didn’t last as long as we hoped. 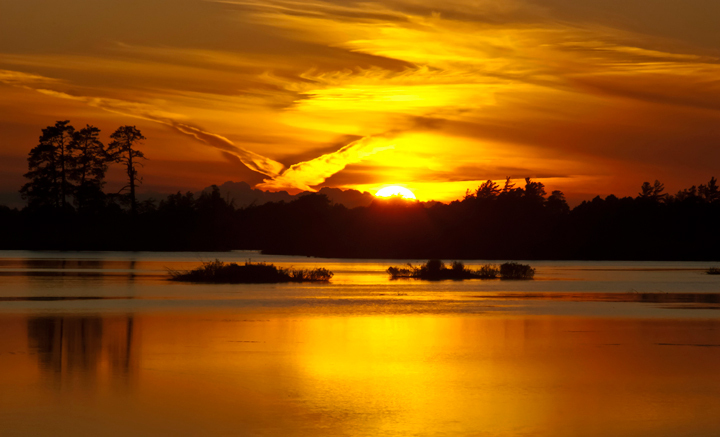 Nothing will top the sunset photo I managed to capture last year on our fall trip to Seney National Wildlife Refuge. There were a number of Contrails in the sky at sunset and they combined with the clouds to create a spectacular image. On day four we packed up and headed out for some Sunrise photography. Fortunately, we were on eastern time so sunrise wasn’t until six in the morning rather than five. The extra hour of sleep was welcome after a long day three. When we woke up the sky was filled with clouds so I wasn’t optimistic that we would have a good sunrise. As it turns out the sunrise only lasted for about fifteen minutes before the clouds took over and it started raining. I was able to get a few shots off before things went south. 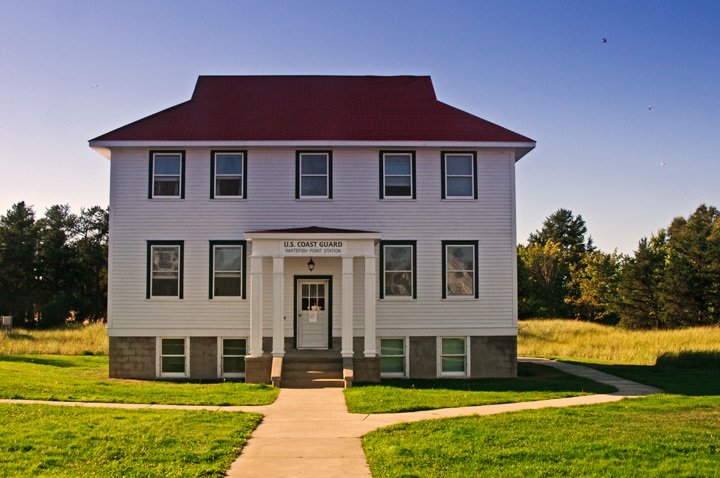 The plan was to drive down to Manistique, Michigan for breakfast. The local Big Boy had fast internet service so we used the service to check on possible waterfall locations on the route home. 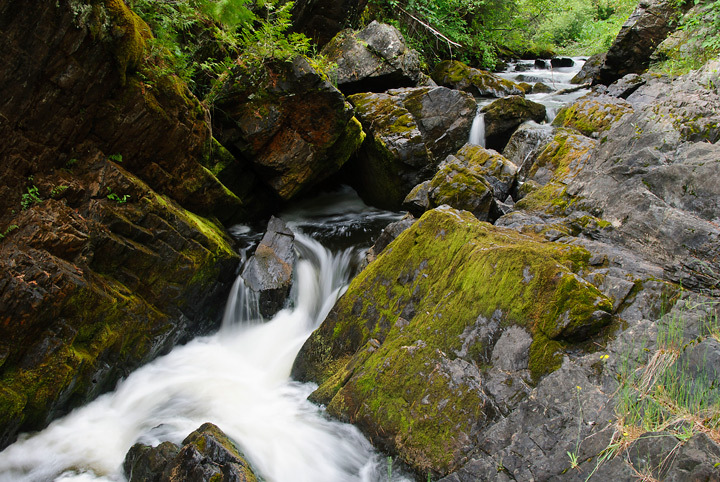 I knew that Marinette County has a number of waterfalls but didn’t know where they were located. As it turned out a number of them were located along our route home. 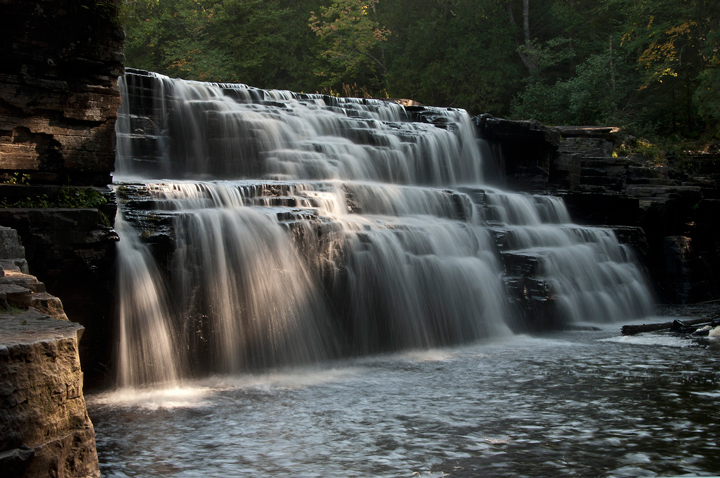 All of the falls were located in county parks. 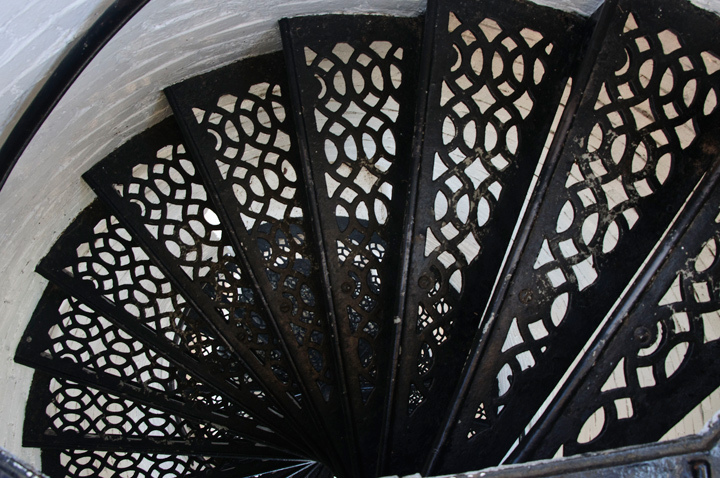 The admission fee is three dollars for the day and allows you to visit all of the parks. Our first stop was at Smalley falls. This is a delightful little waterfall that is just a short hike from the parking lot. 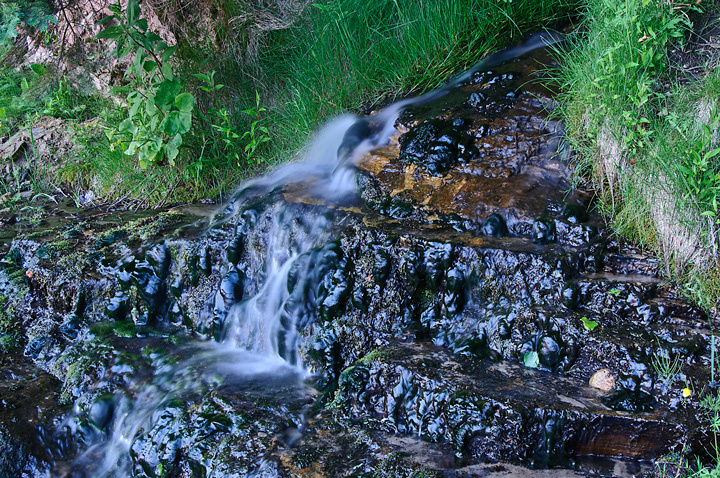 There are a wide variety of shots to be had if you are interested in taking intimate waterfall scenes. If I had been willing to wade into the stream there would have been a few more shots. Next time I’m going we bring my waders. The second waterfall was Long Slide Falls. Again this was located in a county park and was only a short walk from the parking lot. Unfortunately it is difficult if not impossible to photograph the entire falls in one shot but there are smaller portions that can be photographed. The area around the falls is quite steep and since I’m no longer an agile youngster I decided to use discretion and probably missed some good shots because of it. The last waterfall we stopped at was Dave’s Falls. Again it is difficult to get a good shot of the entire falls but there are intimate shots of portions of the falls to be had. It had been raining so the rocks were wet and I again used discretion and didn’t try for a spectacular shot. This was our last stop on the way home. The remaining portion of the trip was a little more exciting than we would have liked. We encountered severe storms west of Wausau, Wisconsin. The wind and driving rain/hail forced us to pull off of the road several times. To make matters worse Verizon seemed to be having some problems with their network connections so we couldn’t follow the storm on our cell phones. We eventually did make it home safely. One of the things I like to do is try and plan my photography trips so that the sunset and moonrise are in close proximity. This allows me to get great shots of the sunset and turnaround and get a shot of the moonrise. The first time this happened was an accident. 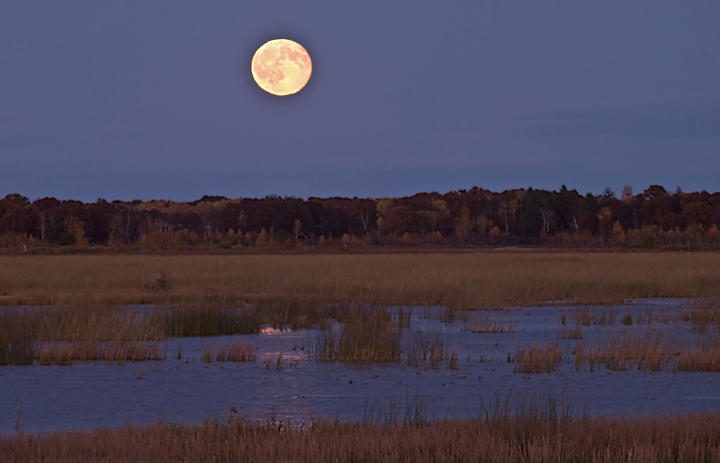 I had been photographing the sunset at Crex Meadows and was packing up to leave when I turned around and notice a full moon over Phantom Lake. After this experience I started checking the sunset/moonrise tables to plan my trips. On a later trip to Crex Meadows I had planned to photograph the sunset and moonrise and had picked a great day to capture both. I picked a new location to photograph the sunset. Unfortunately I picked a bad location and didn’t get any sunset photos and almost missed the moonrise because I was in the wrong location. That was when I started to use The Photographers Ephemeris to plan my trips. This program not only shows the times for the sunset and moonrise but also shows the direction of the sunset and moonrise from any location. This program allows me to determine the best location to get the shots I want. I reviewed this program in an earlier post and highly recommend it to anyone doing landscape photography. Sometimes I just get lucky. 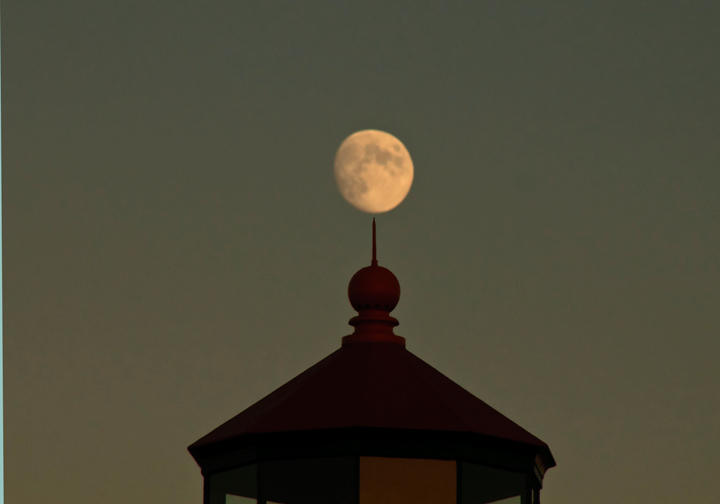 Earlier this fall I was photographing at Two Harbors, Minnesota and had planned to photograph the moonrise. I got engrossed in photographing a piece of ice and almost forgot about the moonrise until my wife mentioned it and when I looked up it was already fairly high in the sky. 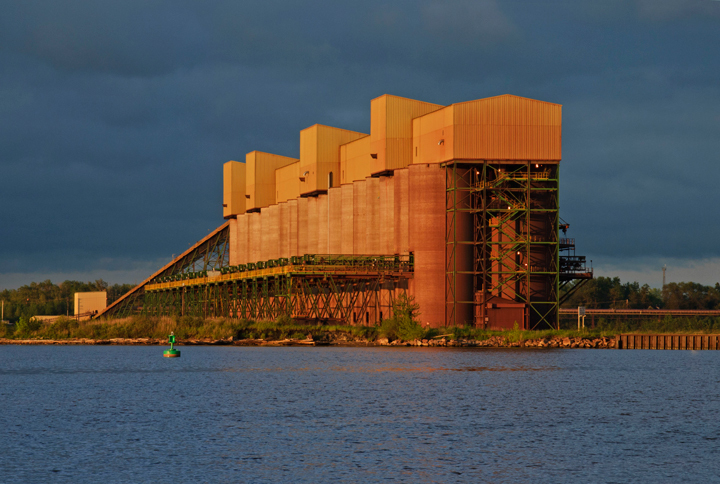 The next morning we went down to photograph the sunrise and I noticed that the moon was setting over the ore docks in the harbor. If you plan a bit you can also get some interesting shots. 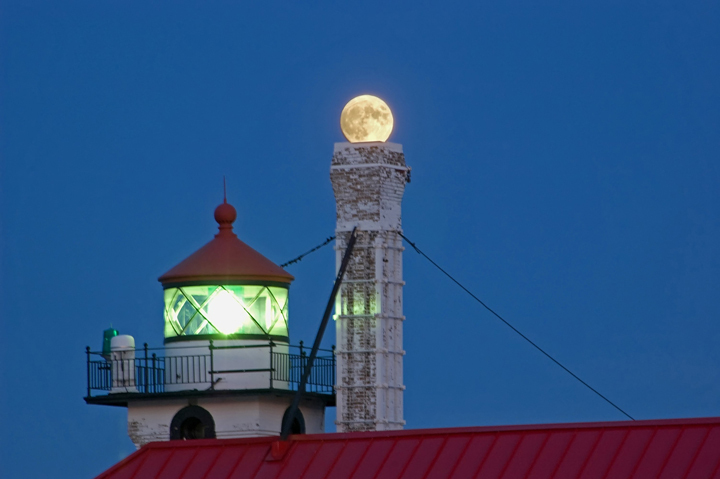 This was taken in Duluth Harbor and shows the moon rising out of the chimney of the Outer South Lighthouse. I knew the moon would be coming up over the harbor so I waited around for it to get to right location. Fortunately the breakwater allowed me to position myself to get the photo. Other times planning doesn’t enter into things. 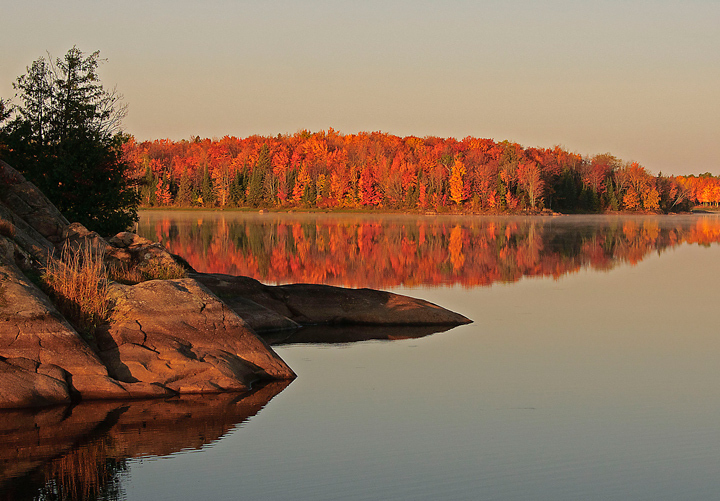 Last fall I was planning to photograph the sunrise at Lake of the Clouds in Porcupine Wilderness State Park. As I left the motel I noticed there was considerable cloud cover in the east so it didn’t look good for a sunrise shot. However, as we were driving into the park I noticed the moon setting over Union Bay and quickly decided that the moonset was going to provide a better opportunity on this particular morning. More photos of moonrise/moonset photo can be found on my website. Just click on search and enter moonrise or moonset. 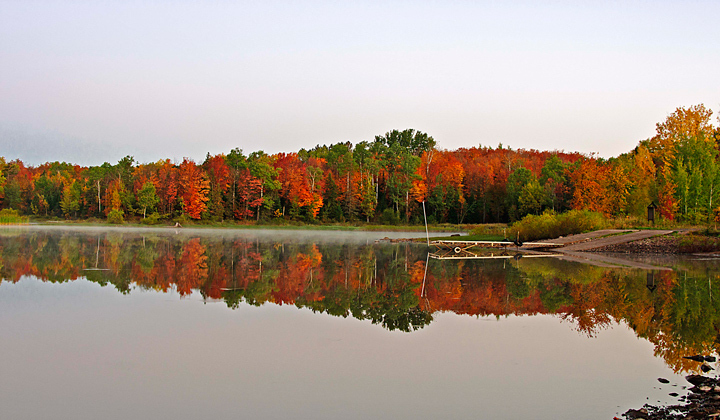 Gile Flowage wins the award for the best fall photography location that we visited in 2011. My wife and I had discovered it last year but didn’t have a chance to really photograph it because we were leaving the area when we found it. We thought it would make a great place to photograph the sunrise and the sunset. This year we made a point of visiting it on our way to Ironwood. 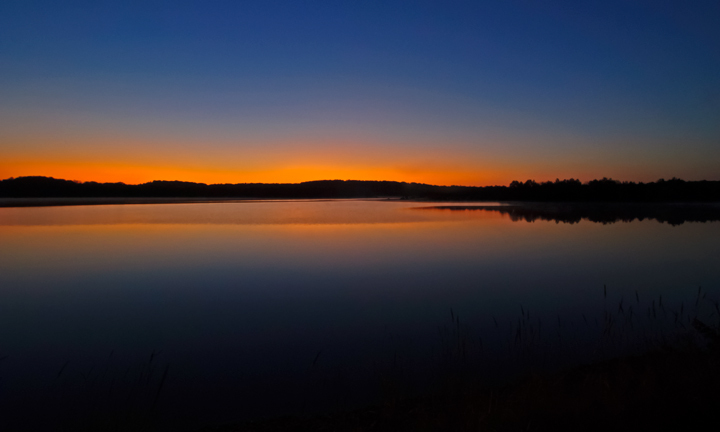 This allowed us to get a few shots of the flowage and scope out possible locations for sunrise photos. As I usually do I checked the area out with The Photographer’s Ephemeris before visiting the area so I had a good idea where the best spots would be. 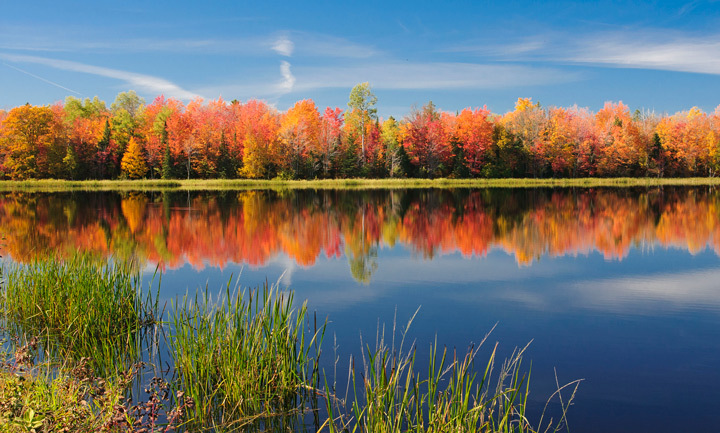 As it turned out county highway D runs through the flowage and this is a great place to photograph both sunrise and sunset. These were shot on the east side of the road. The next morning we were up early to catch the sunrise. 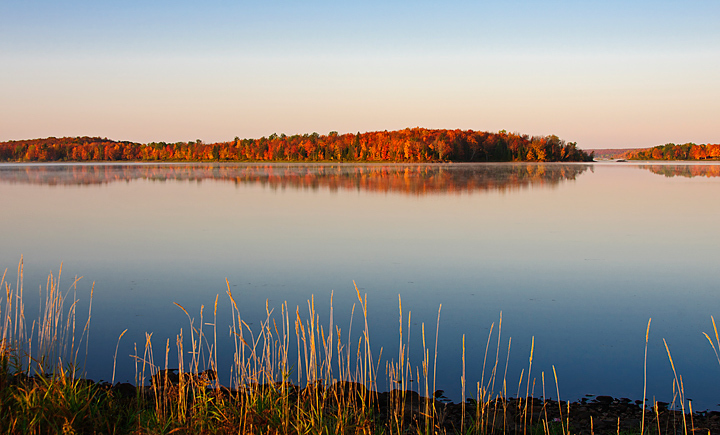 County D allows you to photograph the sun rising over the flowage as well as the front lit trees. All you need to do is walk across the road. It does make for some hectic photography. I had my wife watching the opposite direction from where I was photographing so she could alert me when conditions were the best. These shots were taken on the west side of the road. The shot on the right was almost an afterthought. I had already put my tripod away and we were driving down the road to turnaround when I thought it might make an interesting shot. It turned out to be my favorite. The Photographer’s Ephemeris (TPE) is one of those programs that every landscape photographer should have. I have been aware of this software for some time but never got around to downloading and using it until a recent incident. I was photographing in Crex Meadows in May. 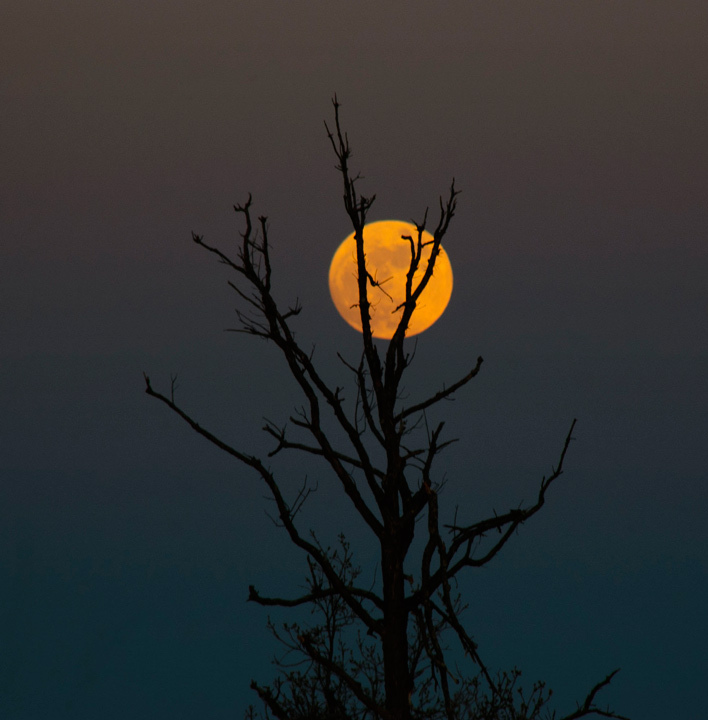 I had gone up to photograph the sunset and moonrise. 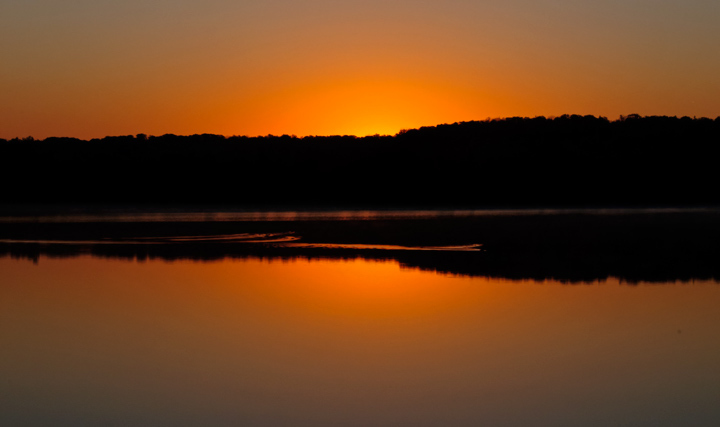 I picked out a new location for a sunset photo only to discover that the sun was setting in the wrong location. 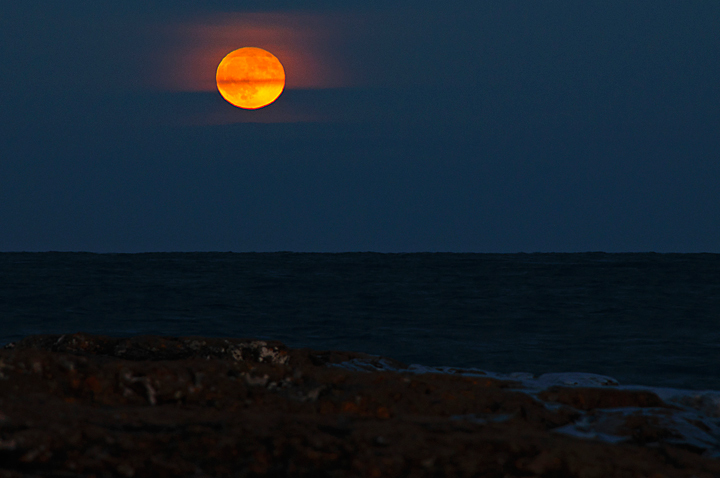 By that time I also discovered that I was in the wrong place to photograph the moonrise. That was the last straw. 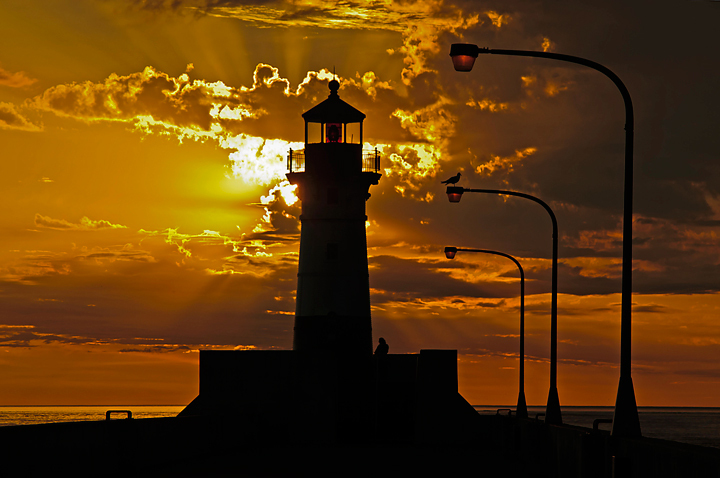 When I came back home I immediately downloaded Photographer’s Ephemeris and started using it to plan a trip to the Superior, Wisconsin area where I wanted to photograph the Wisconsin Point Lighthouse with the sun behind it. 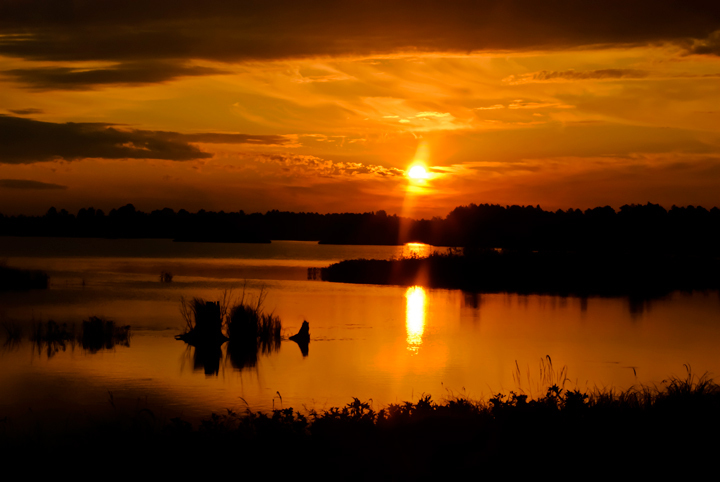 I was also looking for a location in the area to photograph the sunset. Photographer’s Ephemeris provided me with the information to accomplish both goals. Now before I travel into an area where I will likely be photographing the sunrise or sunset I check Photographer’s Ephemeris before I make the trip. On a recent trip to the U.P. of Michigan I used it to plan photographic locations in Escanaba, Seney National Wildlife Refuge and Pictured Rocks National Lakeshore outside of Munising, Michigan. The one thing the program does not do is tell you whether or not you will have a great sunrise/moonset or sunset/moonrise but it can put you in the right place for a successful shot. The Photographer’s Ephemeris is available free for Mac/Windows and Linux computers and is available for a small fee for iOS from ITunes. There is now a version available for the Android phone. TPE also requires you acquire a copy of Adobe “AIR” which is also free. 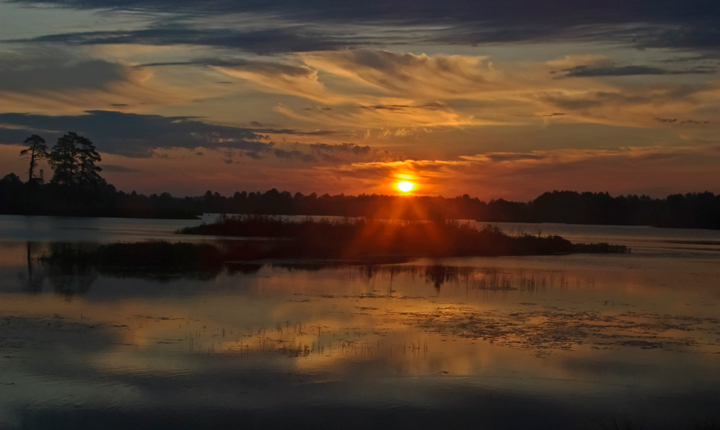 The creator does ask for a donation to help the continued development of the desktop version of The Photographer’s Ephemeris. When the Android version came out I quickly purchased it. I still use my computer for trip planning. Once on location I use the Android version to identify the exact location I want to be at sunset/moonrise or sunrise/moonset. The Photographer’s Ephemeris was a very simple install on my desktop and laptop. As I noted you need to install Adobe”AIR” on your computer then download The Photographer’s Ephemeris. Once I was finished with the download and install I found the software was intuitive enough to start using without reading or viewing the tutorials. The Photographer’s Ephemeris is a software package that allows you to plan where the sun and moon will be in relation to a specific location at a specific time. 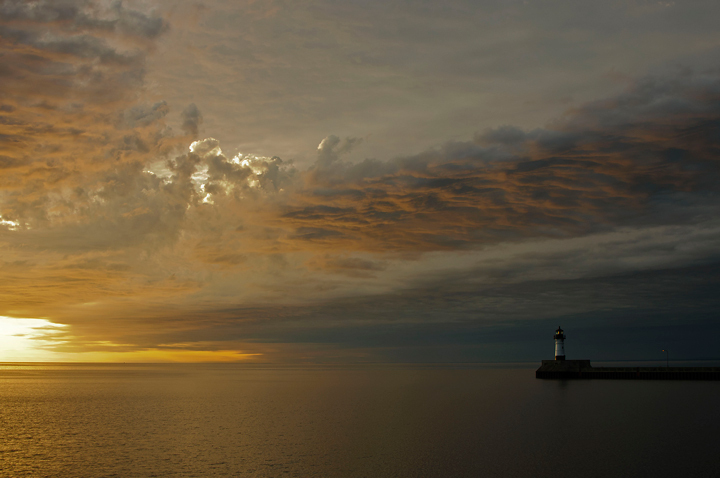 In the example I mentioned above I wanted to photograph the sun rising behind the Wisconsin Point Lighthouse. I knew from a previous trip that this would likely take place around the summer solstice but I didn’t know just when. Viewing the location using The Photographer’s Ephemeris I could see the times that I would most likely be able to get this shot. The Photographer’s Ephemeris uses Google Maps as its basis. When the program opens you have a search bar at the bottom of the screen. Simply type in the location and Ephemeris takes you directly to the location. A red marker will appear on the map indicting the location. Lines will appear on the screen indicating the direction of sunrise/sunset and moonrise/moonset. You have a choice of street maps, satellite imagery, imagery with street names or street maps with terrain. The program allows you to drag the marker around the map or use key commands to move it. You can move the red marker to the exact location you will be photographing from. After using it a couple of times I found there were a several of things I though the program should be able to do including moving the red marker into the area you are looking at. Sure enough the program allows you to do that. All I had to do was go though the great tutorials. I strongly recommend this program for any landscape photographer.